Claiming to be the world’s first super-sized, floating ocean fountain, the base alone measures an impressive 492 ft in length. 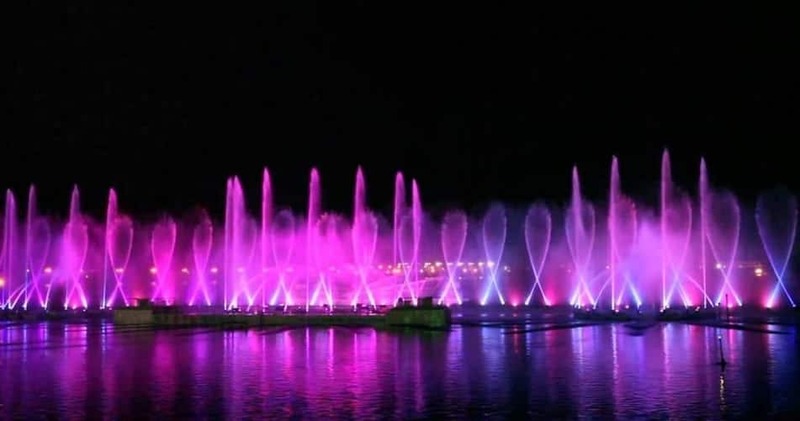 The fountain features 292 LED lights with bursts of water shooting 230 ft into the air using a combination of 73 multi-directional nozzles and 203 air jets. The shows are synchronized to music.